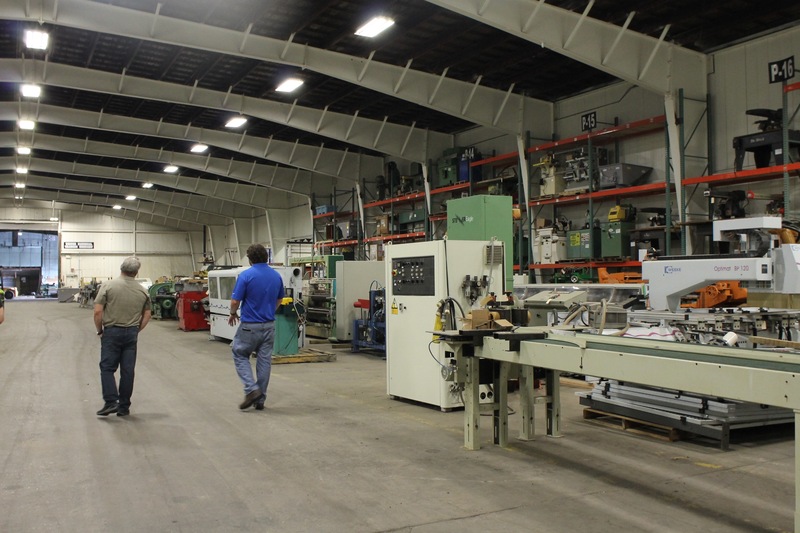 Established in 1999, RT Machine Company (RT) boasts an 80,000 square foot establishment where they can house 600+ woodworking machines. Their warehouse is located in Hughesville, PA which is just outside of Williamsport. RT fits into this location perfectly due to Williamsport’s rich history in the lumber industry; Williamsport was once known as the Lumber Capitol of the World. RT is continuing the area’s history in the industry by offering the largest inventory of used woodworking machinery in North America. RT specializes in buying and selling industrial woodworking machinery, repairing and refurbishing machinery, and installing and repairing machinery at your facility. RT handles everything from a single machine to an entire factory and anything in between. RT represents Stiles Machinery lines for Moulders, CNC Routers, Edgebanders, Wide Belt Sanders, Sliding Table Saws, Panel Saws, Jointers, Planers and Shapers. RT also represents Mereen-Johnson for gang rip saws, James L. Tayor for clamping equipment, and Friulmac for end matching machinery. Be sure to visit their website regularly for their current inventory list and check out their YouTube channel to see videos of some machinery they have available. Most of their inventory is available to ship within days of when an order is placed. We are committed to a teamwork environment where every member is treated with respect, and encouraged to contribute. We are focused on and committed to the needs of our customers. We value our suppliers as partners. We are caring members of the industry and committed to the woodworking community that we serve. With values like these, its no surprise that RT has become so well known and trusted in the industry. KWPA appreciates their eagerness to grow and strengthen the industry as a whole. “RT Machine Company supports KWPA because we have the common goal of expanding the base of lumber and wood products manufacturers in the Central Pennsylvania region. In addition, creating awareness of the wood products industry as an exciting career path is very important to the growth of our industry,” states Edward Thomas of RT Machine Company. KWPA thanks RT Machine Company for their incredible support and looks forward to seeing their business continue to grow. You can also find RT Machine Company on Facebook.